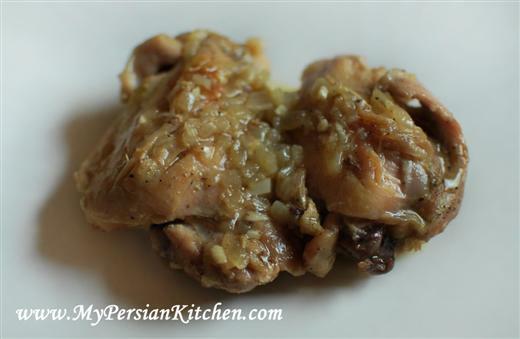 Last week I posted Mitra’s Sunshine Chicken which is a great protein side dish to any Polow recipe. 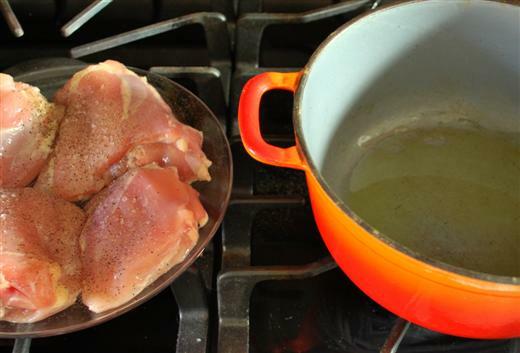 This week I have yet another recipe for chicken. This one can either be served on its on or placed in rice layers when making Polow. This is a simple, yet delicious side dish that I personally love. I love using Bay Leaves to add flavor and a nice aroma to meat dishes. I remember my grandma picking the leaves from our own tree in Iran and cooking with it. Good old days! So good! This is a recipe for two. Just increased the ingredients when making for a crowd! 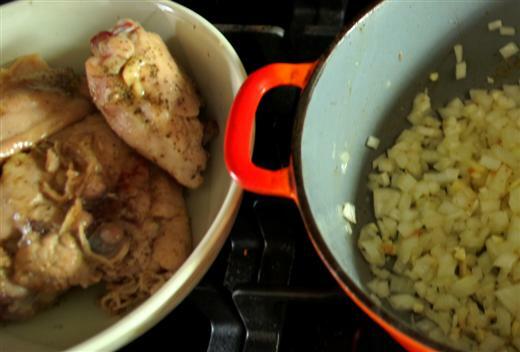 Wash chicken and remove excess fat. Season presentation side of chicken with salt and pepper. Warm up some oil in a pot. 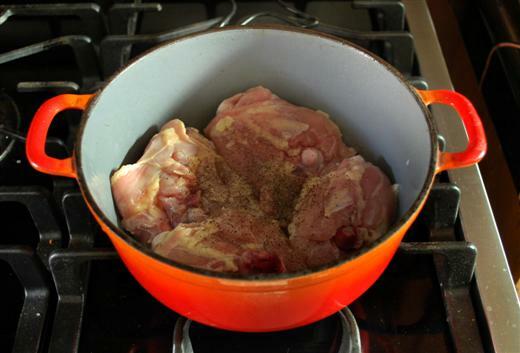 Place chicken in the pot and season the opposite side with salt and pepper. Braise for a few minutes on each side. In the mean time small dice onion and fine dice garlic. 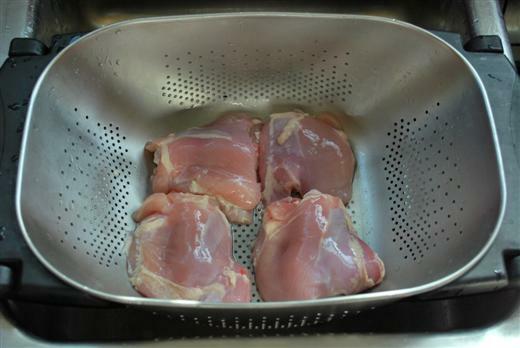 Remove chicken from pot. 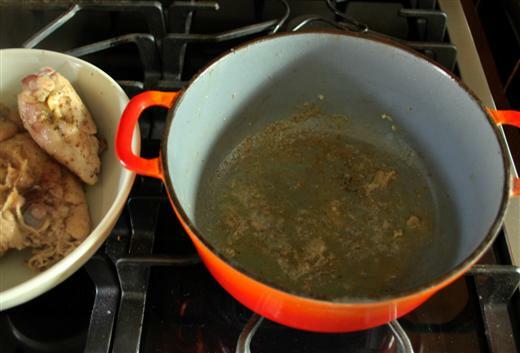 Add a bit more oil and with a wooden spoon deglaze the bottom of the pot. 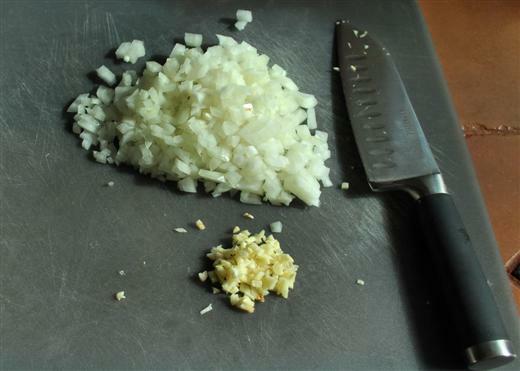 Add onion and garlic and sauté until golden. You may want to do this on a low temperature so that the onion and garlic don’t burn. Add 1/4 cup of water and bay leaves, and give it a stir. Increase heat and add chicken. Pour some of the juice on top. Bring to a boil. Slightly lower the temperature and cook uncovered for about half hour or until chicken is done. Half way through the cooking process flip the chicken so that both sides cook in the juices. 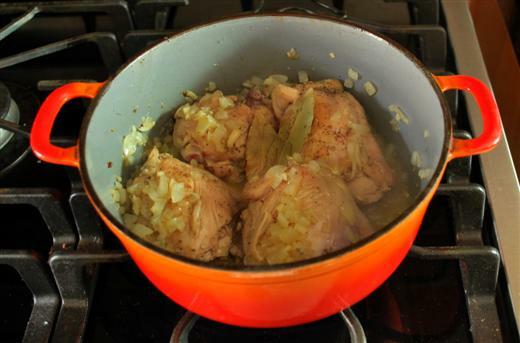 Place chicken in a serving dish and pour sauce on top. Thank you Zurin for stopping by and your kind comment. Yes, this recipe is super easy! Aha! This is what I ate, with Zereshk Polow, when I got tired of kebabs while backpacking in Iran. Now I can make it – hooray! Thanks Sanam.